Do You Want To Know HowAnswer The Burning Questions That Your Child Will Want To Know About His Or Her Adoption? I used this book for a slightly different purpose than it was probably originally intended. However, it serve that purpose very well. I am pleased with my purchase. I came across this book will doing research for a psychology assignment in which we were studying the questions and issues that an adopted child may have or think they have as they get older. This book clearly explains (from an adopted parent’s perspective). What a child is likely to be feeling or is going to ask when they get old enough to realize or understand that they have been adopted this book clearly explains the emotional stress that both the adopted parents and the child may be experiencing at this time in their lives. 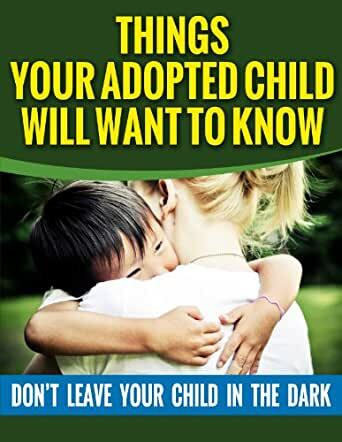 It can be extremely difficult to broach the subject of adoption with an adopted child, but this book offers solid guidance and advice on what to say and how best to explain why a child was adopted in a context that is easy for them to process and understand. As I said earlier, I am very happy with my purchase of this book and I think that anyone who is going to adopt or has an adopted child should own and/or read a copy of this book as it will provide an excellent foundation on which to have a very difficult conversation and strengthen the bond of a family relationship. 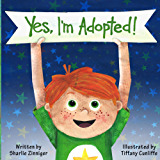 Of course, even if you are not the parent of an adopted child as previously stated, this book made an excellent resource for a psychology class. This well-written book is easily understood and provides heartfelt specific help with what to say to your adopted child and when. It provides a logical strategy and describes a series of age-appropriate discussions. I particularly liked the idea of taking time to slowly introduce the words and concepts the child needs to later grasp the meaning of adoption. It makes helpful suggestions about how the child may respond and what to expect and what to hope for at each of the serial discussions. It gives suggestions on dealing with the child’s reaction. The general principles seem sound and the author’s words ring true, even though no references are quoted or authorities given to support the statements, other than experience. It appears to assume there is no contact with the birth parents and it does not address open adoption and how it might affect the process. Yes, you need to tell your child they are adopted. But this is not long enough to be called a book, it's a booklet at best. Even then, it isn't anything to rave about. It is very simplistic, and only addresses families that have adopted a child at birth, not any other situations like adoption from foster care, step parent adoption, kinship adoption, etc. The information provided is incredibly basic and idealistic. It provides gems 'you should always understand your child' and 'the tips given are actually instinctive to parents of adopted kids who really love and care for their child.' This isn't worth the time or money. This isn't a very helpful book. It spends most of the book arguing for simply telling your child he/she is adopted, which I believe most adoptive parents already do these days. I was hoping for insights into deeper questions my child might have about being adopted as he grows up. This is not the book for that kind of information. But if you are an adoptive parent and plan on keeping the adoption a secret from your child, please do read this book! The book goes into a very interesting overview on the history of adoption, how it became so popular, and other interesting important facts about it. I was made aware of a process to it all that i wasn't aware of before. The book is fairly well written and detailed in content. I would recommend it as one of the books you would find relevant to read if you’re ever considering the adoption of a child.